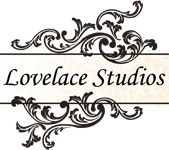 Here at Lovelace Studios, we appreciate the fact that you have chosen us over all other studios to help record a moment in time for your family and loved ones. We can think of no greater compliment for our business. Equal to that trust, we commit to providing you with both superior service and attentiveness only available from a small operator while delivering unequalled quality and convenience. Now that you have made that decision, let us help guide you through this process. First, fill out our Contact page and let us know a little about you. A member of our team will contact you shortly. Or if you prefer, call our main line at 281-726-1567. We will do our best to answer. But if we don’t, please leave a message for us. Once we have our initial conversation, the next step is to meet for a consultation. A lot of the big operators skip this vital component. We invite you to tour our studio and visit with us for approximately 45 minutes. I know this is a lot of time in today’s busy schedules, but over time we have discovered our clients are more satisfied when these consultations aren’t skipped. We will ask you a series of questions about what final product you are looking for. So think about whether you like formal or casual, indoors or out, and let us know about any themes you may be considering. Please bring a calendar with you so we may schedule your photo session. The best slots fill quickly, so let’s plan ahead. About two weeks after your session, we invite you back to the studio and into our Viewing Room. We will provide you ample time to review the images and narrow down the ones most appealing to you, even if that is a difficult feat. We will decide on sizes and collections as well as framing. We ask for a 50% deposit at this time to begin processing your order. (We accept checks, MC and Visa). Your final products will be available for your acceptance approximately 3-4 weeks after the viewing session, depending on the order (some special order products take longer.) All outstanding balances are due at this time as well. Since we are so dedicated to your full satisfaction, we know you will be anxious to tell all your friends and colleagues about your great experience. This is the second best compliment our business can receive.